I thought, after being engaged, Chad and Stephanie became a strong team. But sadly, it isn't so. I was so pissed off with Chad when he asked Stephanie to do the Cycle Rickshaw. It was actually their chance to beat the other teams as they knew they were the last team to do the Roadblock. It was because they were U-turned by the Doctors, where they had to perform the other Detour. In Detour, it was between Balanced Meals or Balanced Bricks. All teams did the Balanced Meals. Besides Chad and Stephanie, Brook and Claire also U-turned by Jill and Thomas., where they had to do the Balanced Bricks too. This is the first time they introduced a Double U-Turns. Words of praise should be given to Brook. She never complaints. She urged Claire to go on. Brook had a strong motivation. I thought this leg is the non-elimination leg but I was wrong. 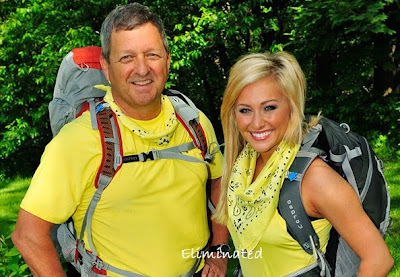 Chad and Stephanie were sent home after being the last team to checked-in, in the Pit Stop. In the Roadblock, one team member need to go down of the Jebel Shams using a rope. Upon landing, they need to find a ring in an Aladdin lamp. It was not an easy task coz there were hundreds of lamps everywhere! In Detour, all teams chose to do the Water Table. The other task was Wedding Table. It was a wise decision from all teams as Water Table was easy. They only need to pump water into a water truck and deliver the water to an assigned house. The water truck was driven by professional driver, if not, I think teams would encountered problems! Both Roadblock and Detour were not that hard but the only problem they encountered was to find the locations. Two teams, the Doctors and father/daughter lost their way. Unfortunately for the father and daughter team, they came last. Just a few minutes behind the Doctors. The newly engaged team, Chad and Stephanie won this leg as Jill and Thomas who arrived first, were penalized for asking a guide to the Pit Stop - that made them into a second place. Good for Chad and Stephanie coz they won a trip to Belize - a present for their engagement! Five more teams left. Two more to go before we find out the final three. The all-females teams are still in the Race. I still hope that one of them would win!!! But I suspected that there would be no elimination next. But we will find out by tomorrow night. Stay tuned! 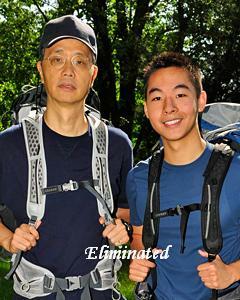 The Amazing Race 17 - "You Didn't Read the Clue"
That's what Michael told his son, Kevin. Which I agree so very much! If only he read the clue properly, they could be still in the Race (sigh!). After 17th season, this silly mistake shouldn't be happened. To all would be racers - "read your clue from the beginning right till the end. 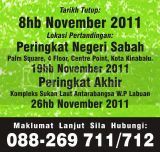 Do not miss a thing!!!" Doctors, Nat and Kat rules this leg. I'm still hoping one of the two-female teams win this race! Please!! So, what happened at the last race? Oh yes, a Fast Forward! Doctors, Nat and Kat being the first to go has the opportunity to go for the FF. And it was a gruesome experience for them as being vegetarians, they had to eat a sheep's head! But it was all worth it. They won a trip to Costa Rica for being the first team to arrive at the Pit Stop! But what I don't understand is, after 16 seasons of the Amazing Race, there are still stupid dumb-dumb people in there. They don't know the meaning of Fast Forward Taken! The most important fact of the Fast Forward is, if you are not the first team to depart, then don't ever think to go for it. It's a waste of time! The Roadblock was tough. After retrieving the clue, it needs all your energy to go up to the bridge deck. I could easily gave up! Katie and Rachel being the last team to depart made them the last team to arrive, again! And they were immediately eliminated from the Race.